In a historic recall election Senate President John Morse was booted from office, capping the end of a long and passionate fight over gun rights in Colorado. It marks a wake-up call for Colorado Democrats, who are suddenly coming to the realization that they’re not invincible after all. In a legislative session this spring dubbed “one of the most liberal ever” by the Durango Herald‘s Joe Hanel, Democrats sprinted to the left on gun control, and virtually every other policy in the left-wing agenda. The Morse recall results are a swift kick in their proverbial nuts. A reminder to legislators that getting elected office doesn’t give you a free pass to do whatever your progressive paymasters demand of you. And, as the Morse recall demonstrates, it’s ultimately the voters who control a politician’s fate, despite the competing intentions of a fat walleted few. We speak, of course, of New York City Mayor Michael Bloomberg, who has bankrolled the gun control agenda from the get-go. Even his billions can only buy so many friends…and votes. Sensing defeat in the hours before polls closed, Democrats suddenly started crying voter suppression, pointing out Morse’s district had less votes than Giron’s. But Giron’s district has always had more voters turnout — 50% more the last time Giron and Morse were on the ballot in 2010. And the absentee ballot return in both districts was nearly identical. No, this race wasn’t about voter suppression. It was about Democrats misreading the mandate they were given in 2012. They become “too extreme” for Colorado and paid the price in the seat of the highest ranking legislative Democrat in the land. What Colorado voters giveth they can taketh away. Matt – Do some research on the two airheads involved here. Neither have a clue, in fact this week they were both interviewed about the shootings at the D.C. Navy yard. Absolutely clueless and ranting about why this shouldn't of happened in a facility where lots of people were armed, how a background check would of helped, and smaller magazines would of helped. This guy had a legal background check, weapons aren't allowed at that facility thanks to Bill Clinton, and the guy used a shotgun not an assault rifle. My point was get involved, do some researh into who you're voting for, and make it count rather than vote third party cause you think it's cool. Hey Matt, what you said buddy. believe me, right on cue you will hear the libtards scream racism and/or voter suppression..their favorite mixed cocktail to serve up after a loss. 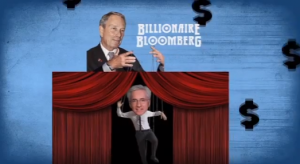 Let's all send a deluge of "Thank You" cards to Bloomberg for all the monies he, and his like-minded elitists, have contributed to Colo economy! Colo Springs and Pueblo needed this cash to help recover from the fires and mud-floods that devastated the entire region. Denver profited from their "peitrie-dish" experiment to take Colorado's 2nd Amend Rights away – THEY were going to show the nation just how to take away the citizens freedoms! All that money helped our economy tremendously – Thankyouverymuch!! Rena, they are just as bad, only in other area's. Every 4 to 8 years, we change party,s. Thus direction, no long term plan. No wonder the world is both laughing, and crying at our situation. The gop steals as much as possible, please don,t hurl insults. I had lunch with the republican, King of kings, ronnie baby. he was looking down his nose and hurmp,ing, until i went back to my office, very poor company. Probably he felt the same way. He was the gov. then i worked,for fleet aviation,specialized tranning group core pacific. I took the trash out. Of 1 of2 jet fight trainers. one in central cal. the other in norfok vi. One look in his eyes thats something you can't hide. ps nixon and i were born tn the same place, i was super excited to see the debate in 1960. I saw nixon in that black suit , i took one look, turned to my ather and said, dad that guy is a crook. he gave me my first lesson in poltics. He said you're right,they mostly are all; because. they mostly had to put their soul on the line. Thanks Bill. The grassroots movement down in those two districts rocked. Nicely done to those!! So good to see filth get their @#! spanked and its about time the rest of the scum start paying attentions to this real bosses….. the public!! We must never forget this. We fired to people who did not listen to us, the people. We have that right to fire them and we need to do more to make sure they get a clear message. Excuse – COLORADO PEAK POLITICS – Well said! Great article, Kurtis! I love it! A president can be recalled.. GUESS HE KNOW'S "WE THE PEOPLE" HOLDS THE POWER NOW HUH? What beautiful history being made. Can we go remove Evie Hudak now? THAT Larry is why so many are turning TO the 3rd parties. The Republicans have turned their party over to the Karl Rove types looking for "someone that could win" rather than a person of principle. As a result the republicans have tried to out democrat the democrats and people figure that they might as well vote for the democrat in that case because at least then they know what they are getting. Have you seen McCain and Boehner walking in LOCKSTEP with Obama??? And Obamacare was ROMNEYCARE with a few tweaks!!! The 3rd parties are where people are turning for people of TRUE conservative and constitutional principals these days and if the Republicans don't get their heads out of their backsides they will go the way of the Whigs. Congrats Colorado, keep kicking them to the curb and they well get the message thought their thick heads. Feels great that Americans still care about the right to vote and choose ! I think we need to take a few more steps and tell Congress and the Supreme Court , lets not forget the man who's in over his head and has no clue what he's doing anymore , that do your job or face recall …this makes me very happy ! ah yes, thank goodness we've made the world safe for more guns. Your hard work and dedication paid off, you showed America what real Americans can do when pushed too far by progressive's with an elitist attitude. You made a difference, it took long hours, and untold details to get this done, but, in the end this is a shining example of what American Patriots are about and you earned a place in the history books. Can we do that with Obama? Fantastic news……taxpayers…time to bury communists/socialist and an out of control government OWNED by public employee unions. Let the of the IRS nonsense begin anew…lets take back our government. All this could of been avoided if voters would make their vote count for someone that could win instead of voting third party. Congratulations to those who stood up and dethroned the tyrant. good point, they are very clueless, across the nation tonight democrats are worried. We the people,,,,,they don't understand that I guess…..when is the next recall, we need more. Thank God, now if we can get the clueless Republican party to put up some good candidates for 2014. BEST NEWS in decades!!!! Great job to all of you on the front range…we "western sloppers" sometimes give you all a bunch of grief but you rocked this one!!! Thank God (literally)!! Colorado's public enemy number 1 is collecting unemployment! Next fall maybe we can retire Hickenlooper too. I'm wanting to be able to say Governor Tancredo.